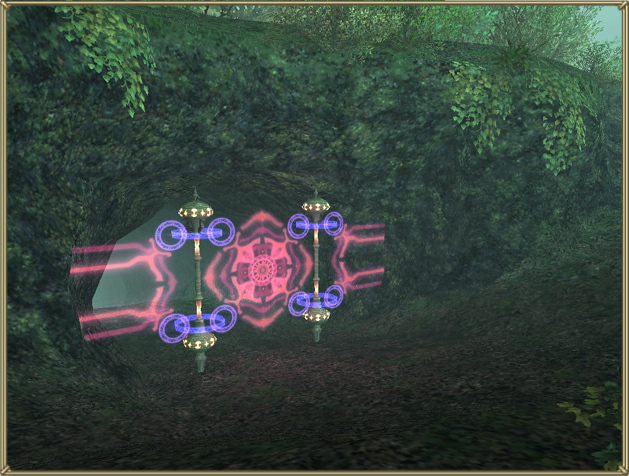 The yearly glance at Final Fantasy XI | The Cesspit. I cannot understand how regularly every year Square convinces me to buy the latest exp pack, reactivate my account, patch for hours and then only look around for a couple of hours before unsubscribing again. I’m weak and hopeless like that. But, come on, it’s soooo pretty. There’s a new expansion (Treasures of Aht Urhgan) to be released around the end of April and looking truly interesting. But even before the features what really stands out is the graphic. Despite the engine is still exactly the same, it seems that Square artists and animators just keep surpassing their excellence. I love the screenshots I’ve seen, the new creatures and zones stand out compared to everything I’ve ever seen in a mmorpg. Square is the new “Origin”, they are the only one left that truly “create worlds” with their own consistency and depth. Each of their games is an unique world on its own, fully crafted in every detail and where you can immerse yourself completely. There’s an engrossing backstory that ties all the elements together and that is the true heart of the game, not just a generic theme used as an excuse. Noone does this better than them. Stories, characters, worlds. Where are they in today’s mmorpgs? We just chase loot and have bland excuses to move through superficial content. The features coming with the expansion are quite surprising. There are going to be new zones, monsters and missions that will follow a similar scheme of the content of the two previous expansions (the missions are consecutive adventures used to narrate the story of the game) but in one of these zones there will be a city, Al Zahbi, that will introduce two new gameplay modes: Besiege and Assault. “Besiege” sounds like a dynamic scenario that could trigger at any time while you are around the city. Basically the monsters will start to attack and swarm the city instead of roaming quietly in the wilderness and it will be your duty and the duty of those caught in the attack to defend the city. If you die you won’t lose xp points so the assault shouldn’t be a major burden for the players we are surprised into one. The NPCs will defend the city and fight along with you and from the previews I’ve read it sounds as something really chaotic but also a hell of fun. In our town, we took on hoards of giant lizard monsters that were out for blood. Think of Besieged as the battle for Helm’s Deep in Lord of the Rings. The enemies just keep coming and they don’t stop. “Assault” instead should be like a reversed besiege. You gather a group of players (from three to six) and grab an “assault mission” available in the town and then go to “assault” the lair of the mobs. It’s unclear if this will be an instanced zone but from the sound of it I believe these tasks can be taken just by one group and will be unavailabe to others till the group accomplishes it or fails. There’s a screenshot suggesting that there will be impassable barriers, and the official description says that the zone will be evacuated of players that don’t belong to the group who “tapped” the assault task. The strength of the beastmen that attack all depend on the players attacking the strongholds. If the players have beaten the beastmen back, their raids on the town will be weaker. The stronger the beastmen in the region, the harder their attacks will be. Completing assault missions will grant you “assault points” and move your character through mercenary ranks that will probably give you the possibility to get some fancy, unspecified props. I love alternate advancement in mmorpgs when it lets you explore different parts of the game world and different gameplay. Both the Besiege and Assault sound absolutely fun and interesting. I wish other games would also try to add some new gameplay with the expansions instead of just bigger mobs and fatter loot. Can’t you see how it is awfully boring to be stuck in just the exact same, redundant gameplay as always? What are bringing to the table the new expansions of WoW, DAoC, EverQuest if not just more instances, mobs, levels and zones? At least here we have a variation, an exploration of other possibilities to enrich the experience. But the assault and besiege models aren’t the only interesting features in the work. The expansion will also intruduce three new classes: the “Blue Mage” who will mimic the attacks of the monsters, the “Corsair” who will be able to shoot at range with a gun and “elaborate luck-based abilities to alter the stakes of battle” (it should use a deck of cards randomly drawn) and a the recently revealed “Puppetmaster” who has a puppet following him around and will probably use it to deliver the attacks (that’s all I was able to find out). And Chocobos! Yes, I know they are already in the game, but with the expansion you’ll be able to raise your own chocobo! Not only, you’ll also be able to make it breed with other players chocobo to generate new ones, hinting (I hope!) the possibility to customize them and develop sepecific traits. Also because the most awesome features is what comes next: The chocobo circuit! You’ll be able to ride your chocobo in a race against other players and, maybe, win prizes. How awesome is that? The last new feature in the expansion is the Coliseum, it is still in the dark but taken directly from the tradition of the series. It is unclear if it will involve directly the players or if you’ll only be able to bet on monsters vs monsters encounters but it’s possible that Square will continue to add more content after even this part is released. It’s interesting to notice that all this new content won’t be available right away but it will be staggered along the bi-monthly content patches. So all the features will progressively dribble in the game as it already happened with the story-missions in the previous expansions, distributed along the year till the possible next expansion. In a previous update, damage taken during Conflict (PvP) by melee, ranged, and magic attacks was adjusted to an amount relatively lower than damage taken in regular battles with monsters. Anyway, what really picked my interest about the expansion is the graphic that is truly amazing and without the need to use any new technology, which again demonstrates that tech is not art and that an engine is never a true limit for anything. Along with a feature list that for the first time isn’t limited to just “more of the same”, but that truly tries to explore some new possibilities and add to the variety of the game instead of drying it. Maybe Brad McQuaid was right. Maybe it’s true that the fresh air into the genre will come from the evolution of the consolidated models we have now. What I know is that I like when these game introduces new possibilities and content that don’t just overlap with something else. Vana’diel is easily the most interesting, original and detailed world between those I’ve experienced in this genre, it’s a pity that there are some structural design flaw that compromise its quality and undermine its accessibility.